We live on earth but once in the human form. We are here to help others thereby helping our self. Thank God, through Yeshua", A'meen! My enjoyment and fullfilment in business life arrives while helping entrepreneurs become successful. The most rewarding aspect of Entrepreneurship is creating a solution or improving upon a current solution to make life more enjoyable! The most frustrating, is running into the unexpected roadblocks that push back the success of a company! 1) Solidifying the Product Market Fit "PMF" This is one of the most important aspects of entrepreneurship that most entrepreneurs fail at miserably. That is to prove to themselves that the market actually wants the product/service! 2) CASH to finish the job: I've seen hundreds of amazing startup ideas die because the founders did not have the ability to keep the business going because they ran out of money! 3) Always sell sell sell and then sell some more! What is the single best advise you can give to entrepreneurs? De Dios is a wonderful human with a profound passion towards helping his fellow human attain their life’s success, sometimes at his own expense. He is FAMILY centric and thrives for that purpose! De Dios, has invested and currently sits on the board of various Startups based in the SF/SV area. His keen sense of Sales 'How to make money with that product/service" has been the catylist for success in many of his startups. 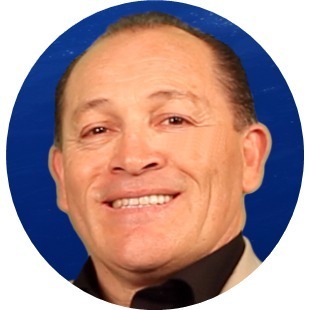 De Dios, is an expert sales and business professional that led the investment to launch of Aplaz Group, Inc., to the benefit of the micro-business market. Since launching, Aplaz has closed deals Allstate Insurance Agents, Emerging technology division of major I.T. companies like Microsoft-biz-spark, Google Ventures, SBDC, and several dozen Angel and VC firms. This activity is the foundation for growing a Billion Dollar HR Services company! Prior to Aplaz Group, Inc., De Dios, launched Strategic Business Solutions (SBS) to partner with small business community leaders in delivering substantial business aggregation knowledge that reduced the burdensome expense of employment. SBS was acquired by a privately held Business Processing Outsourcing company from India. During the Dot-com boom, in 1997 – De Dios wrote the business plan for The Outsource Group, LLC (TOG) and executed the first client agreement on 1/01/1998 launching TOG into the San Francisco Bay Area region. Jose was mentioned in a VatorNews article "Live Sharks Tank® episode 50"
Jose started following GameCo, Inc.
Jose said "Vator, we can help you grow your network! "DEAL FLOW" “Live Sharks Tank®” demo & pitch event, hope you can join us www.livesharkstank.co . Let’s stay connected here: https://www.facebook.com/startupsshowcase https://www.facebook.com/backofficeonline "
Jose added Startups Showcase Group as an investment.